King Henry the Eighth was just eighteen years of age when he came to the throne. People said he was a handsome boy, but in later life he did not seem hand­some at all. 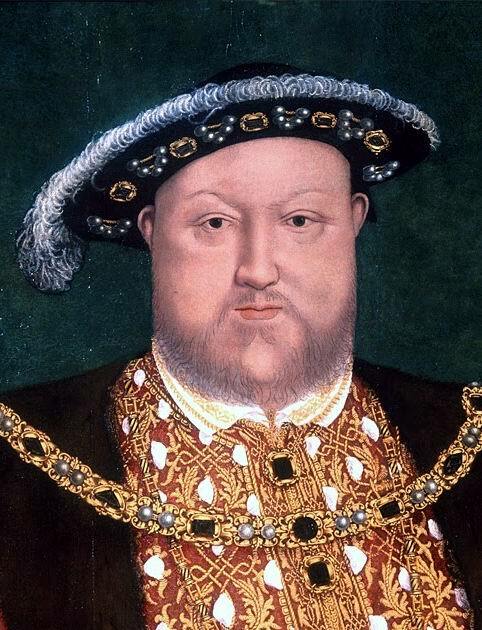 He was a big, burly, noisy, small-eyed, large-faced, double-chinned fellow, as we know from the portraits of him, painted by the famous Hans Holbein. The King was anxious to make himself popular, and the people, who had long disliked the late King, believed to believe that he deserved to be so. He was extremely fond of show and display, and so were they. Therefore there was great rejoicing when he married the Princess Catherine, and when they were both crowned. And the King fought at tournaments and always came off victorious — for the courtiers took care of that — and there was a general outcry that he was a wonderful man. The prime favourites of the late King, who were engaged in money-raising matters, Empson, Dudley, and their supporters, were accused of a variety of crimes they had never committed, instead of the offences of which they really had been guilty; and they were pilloried, and then beheaded, to the satisfaction of the people, and the enrichment of the King. The Pope, so indefatigable in getting the world into trouble, had mixed himself up in a war on the continent of Europe, occasioned by the reigning Princes of little quarrelling states in Italy having at various times married into other royal families, and so led to their claiming a share in those petty Governments. The King, who discovered that he was very fond of the Pope, sent a herald to the King of France, to say that he must not make war upon the father of all Christians. As the French King did not mind this relationship in the least, and also refused to admit a claim King Henry made to certain lands in France, war was declared between the two countries. England made a blundering alliance with Spain, and got stupidly taken in by that country, which made its own terms with France when it could, and left England in the lurch. Sir Edward Howard, a bold admiral, son of the Earl of Surrey, distinguished himself by his bravery against the French in this business; but, unfortunately, he was more brave than wise, for, skimming into the French harbour of Brest with only a few row-boats, he attempted to take some strong French ships, well defended with cannons. The upshot was, that he was left on board of one of them with not more than about a dozen men, and was thrown into the sea and drowned. Maximilian, Emperor of Germany, who pretended to be his soldier, and who took pay in his service. The King might be successful enough in sham fights, but his idea of real battles chiefly consisted in pitching silken tents of bright colours that were ignominiously blown down by the wind, and in making a vast display of gaudy flags and golden curtains. Fortune, however, favoured him better than he deserved: he gave the French battle, and they took such an unaccountable panic, and fled with such swiftness, that it was ever afterwards called by the English the Battle of Spurs. Instead of following up his advantage, the King, finding that he had had enough of real fighting, came home again. The Scottish King, though nearly related to Henry by marriage, had taken part against him in this war. The Earl of Surrey, as the English general, advanced to meet him when he came out of his own dominions and crossed the river Tweed. The two armies came up with one another when the Scottish King had also crossed the river Till, and was encamped upon the Hill of Flodden. Along the plain below it, the English, when the hour of battle came, advanced. The Scottish army, which had been drawn up in five great bodies, then came steadily down in perfect silence. So they, in their turn, advanced to meet the English army, which came on in one long line; and they attacked it with a body of spearmen, under Lord Home. At first they had the best of it; but the English fought with such valour, that, when the Scottish King had almost made his way up to the Royal standard, he was slain, and the whole Scottish power routed. Ten thousand Scottish men lay dead that day on Flodden Field. For a long time afterwards, the Scottish peasantry used to believe that their King had not been really killed in this battle, because no Englishman had found an iron belt he wore about his body as a penance for having been an undutiful son. But, whatever became of his belt, the English had his sword and dagger, and the ring from his finger, and his body was recognized by English gentlemen who had known the Scottish King well. When King Henry was making ready to renew the war in France, the French King was contemplating peace. His queen, dying at this time, he proposed, though he was upwards of fifty years old, to marry King Henry’s sister, the Princess Mary, who, besides being only sixteen, was betrothed to the Duke of Suffolk. As the inclinations of young Princesses were not much considered in such matters, the marriage was concluded, and the poor girl was escorted to France, where she was immediately left as the French King’s bride, with only one of all her English attendants. That one was a pretty young girl named Anna Boleyn, niece of the Earl of Surrey, who had been made Duke of Norfolk after the victory of Flodden Field. The French King died within three months, and left the young Queen a young widow. The new French monarch, Francis I, seeing how important it was to his interests that she should take for her second husband no one but an Englishman, advised her first lover, the Duke of Suffolk, when King Henry sent him over to France to fetch her home, to marry her. The Princess being herself so fond of that Duke, as to tell him that he must either do so then, or lose her forever, they were wedded; and Henry afterwards forgave them. In making interest with the King, the Duke of Suffolk had addressed his most powerful favourite and adviser, Thomas Wolsey — a name very famous in history for its rise and downfall. Wolsey was the son of a respectable butcher at Ipswich, in Suffolk, and received so excellent an education that he became a tutor to the family of the Marquis of Dorset, who afterwards got him appointed one of the late King’s chaplains. On the accession of Henry VIII, he was promoted and taken into great favour. He was now Archbishop of York. The Pope had made him a Cardinal besides, and whoever wanted influence in England or favour with the King — whether he were a foreign monarch or an English nobleman — was obliged to make a friend of the great Cardinal Wolsey. He was a gay man, who could dance and jest, and sing and drink. He was wonderfully fond of pomp and glitter, and so was the King. 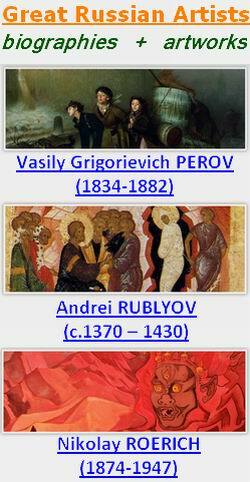 He knew a good deal of the Church learning of that time, much of which consisted in finding artful excuses and pretences for almost any wrong thing, and in arguing that black was white, or any other colour. This kind of learning pleased the King too. For many such reasons, the Cardinal was high in estimation with the King, and, being a man of far greater ability, knew how to manage him. Never had there been seen in England such state as that Lord Cardinal kept. His wealth was equal, it was reckoned, to the riches of the Crown. His palaces were as splendid as the King’s, and his retinue was eight hundred strong. He held his Court, dressed out from top to toe in flaming scarlet; and his very shoes were golden, set with precious stones. His followers rode on blood-horses, while he, with a wonderful affectation of humility in the midst of his great splendour, ambled on a mule. Through the influence of this stately priest, a grand meeting was arranged to take place between the French and English Kings in France, but on ground belonging to England. A prodigious show of friendship was to be made on the occasion, and heralds were sent to proclaim with brazen trumpets through all the principal cities of Europe, that, on a certain day, the Kings of France and England, as companions and brothers in arms, each attended by eighteen followers, would hold a tournament against all knights who might choose to come. Charles, the new Emperor of Germany (the old one being dead), wanted to prevent that alliance between the two sovereigns, and came over to England and secured Wolsey’s interest by promising that his influence should make him Pope when the next vacancy occurred. On the day when the Emperor left England, the King and all the Court went over to Calais, and thence to the place of meeting, commonly called the Field of the Cloth of Gold. There were sham castles, temporary chapels, fountains running wine, great cellars full of wine free as water to all comers, silk tents, gold lace and gilt lions, and such things without end. And, in the midst of all, the rich Cardinal outshone and outglittered all the noblemen and gentlemen assembled. After a treaty had been made between the two Kings with as much solemnity as if they had intended to keep it, the lists — nine hundred feet long, and three hundred and twenty broad — were opened for the tournament. Then, for ten days, the two sovereigns fought five combats every day, and always beat their polite adversaries. Of course, nothing came of all these fine doings but a speedy renewal of the war between England and France, in which the two Royal companions longed very earnestly to damage one another. But, before it broke out again, the Duke of Buckingham was shamefully executed on Tower Hill, on the evidence of a discharged servant — really for nothing, except the folly of having believed in a friar of the name of Hopkins, who had pretended to be a prophet, and who had mumbled and jumbled out some nonsense about the Duke’s son being destined to be very great in the land. It was believed that the unfortunate Duke had given offence to the great Cardinal by expressing his mind freely about the expense and absurdity of the whole business of the Field of the Cloth of Gold. The new war was a short one, though the Earl of Surrey invaded France again, and did some injury to that country. It ended in another treaty of peace between the two kingdoms, and in the discovery that the Emperor of Germany was not such a good friend to England in reality, as he pretended to be. Neither did he keep his promise to Wolsey to make him Pope, though the King urged him. So the Cardinal and King together found out that the Emperor of Germany was not a man to keep faith with. They broke off a projected marriage between the King’s daughter Mary, Princess of Wales, and that sovereign, and began to consider whether it might not be well to marry the young lady, either to Francis himself, or to his eldest son. There now arose at Wittemberg, in Germany, the great leader of the mighty change in England which is called The Reformation, and which set the people free from their slavery to the priests. This was a learned Doctor, named Martin Luther, who knew all about them, for he had been a priest, and even a monk, himself. The preaching and writing of Wickliffe had set a number of men thinking on this subject, and Luther, finding one day to his great surprise, that there really was a book called the New Testament which the priests did not allow to be read, and which contained truths that they suppressed, began to be very vigorous against the whole body, from the Pope downward. It happened, while he was yet only beginning his work of awakening the nation, that a friar named Tetzel came into his neighbourhood selling what were called Indulgences, by wholesale, to raise money for beautifying the St. Peter’s Cathedral at Rome. Those who bought an Indulgence of the Pope were supposed to buy themselves from the punishment of Heaven for their offences. Luther told the people that Indulgences were worthless bits of paper. The King and the Cardinal were mightily indignant at this presumption; and the King (with the help of Sir Thomas More, a wise man, whom he afterwards repaid by striking off his head) even wrote a book about it, with which the Pope was so well pleased that he gave the King the title of Defender of the Faith. The King and the Cardinal also issued flaming warnings to the people not to read Luther’s books, on pain of excommunication. But they did read them for all that; and the rumour of what was in them spread far and wide. When this great change was thus going on, the King began to show himself in his truest and worst colours. Anne Boleyn, the pretty little girl who had gone abroad to France with his sister, was by this time grown up to be very beautiful, and was one of the ladies in attendance on Queen Catherine. Queen Catherine was no longer young or pretty, and it is likely that she was not particularly good-tempered, having been always rather melancholy, and having been made more so by the deaths of four of her children when they were very young. So, the King fell in love with the fair Anne Boleyn. He wanted to get rid of his wife and marry Anne. They answered that it was a serious business, and perhaps the best way to make it right, would be for His Majesty to be divorced. That was the answer the King was pleased with; so they all went to work. Many intrigues and pints took place to get this divorce. Finally, the Pope issued a commission to Cardmal Wolsey and Cardinal Campeggio (whom he sent over from Italy for the purpose), to try the whole case in England. It is supposed that Wolsey was the Queen’s enemy, because she had reproved him for his manner of life. But, he did not at first know that the King wanted to marry Anne Boleyn, and when he did know it, he even went down on his knees, in the endeavour to dissuade him. The Cardinals opened their court in the Convent of the Black Friars, in London. On the opening of the court, when the King and Queen were called on to appear, that poor lady kneeled at the King’s feet, and said that she had come, a stranger, to his dominions, that she had been a good and true wife to him for twenty years, and that she could acknowledge no power in those Cardinals to try whether she should be considered his wife after all that time, or should be put away. With that, she got up and left the court, and would never afterwards come back to it. It was a difficult case to try, and the Pope suggested the King and Queen to come to Rome and have it tried there. But by good luck for the King, word was brought to him about Thomas Cranmer, a learned Doctor of Cambridge, who had proposed to urge the Pope on, by referring the case to all the learned doctors and bishops, and getting their opinions that the King’s marriage was unlawful. The King, who was now in a hurry to marry Anne Boleyn, thought this such a good idea, that he sent for Cranmer. It was bad for cardinal Wolsey that he had left Cranmer to render this help. It was worse for him that he had tried to dissuade the King from marrying Anne Boleyn. Such a servant as he, to such a master as Henry, would probably have fallen in any case; but he fell suddenly and heavily. Soon he was arrested for high treason, and died on his way to Tower. Sir Thomas More was made Chancellor in Wolsey’s place. Meanwhile, the opinions concerning the divorce, of the learned doctors and bishops and others, being at last collected, were forwarded to the Pope, with an entreaty that he would now grant it. The unfortunate Pope, who was a timid man, was half distracted between his fear of his authority being set aside in England if he did not do as he was asked, and his dread of offending the Emperor of Germany, who was Queen Catherine’s nephew. In this state of mind he still evaded and did nothing. So the King took the matter into his own hands, and made himself the head of the whole Church. However, he recompensed the clergy by allowing them to burn as many people as they pleased, for holding Luther’s opinions. All these events made Sir Thomas More, who was truly attached to the Church, resign. Being now quite resolved to get rid of Queen Catherine, and to marry Anne Boleyn without more ado, the King made Cranmer Archbishop of Canterbury, and directed Queen Catherine to leave the Court. She obeyed, but replied that wherever she went, she was Queen of England still, and would remain so, to the last. The King then married Anne Boleyn privately, and the new Archbishop of Canterbury, within half a year, declared his marriage with Queen Catherine void, and crowned Anne Boleyn Queen. She might have known that no good could ever come from such wrong, and that the King who had been so faithless and so cruel to his first wife, could be more faithless and more cruel to his second. But Anne Boleyn knew that too late, and bought it at a dear price. Her marriage came to its natural end. However, its natural end was not a natural death for her.The Pope was thrown into a very angry state of mind when he heard of the King’s marriage. Many of the English monks and friars did the same, but the King took it pretty quietly, and was very glad when his Queen gave birth to a daughter, who was christened Elizabeth, and declared Princess of Wales as her sister Mary had already been. One of the most atrocious features of this reign was that Henry VIII was always trimming between the reformed religion and the unreformed one; so that the more he quarrelled with the Pope, the more of his own subjects he roasted alive for not holding the Pope’s opinions. Thus, an unfortunate student named John Frith, and a poor simple tailor named Andrew Hewet who loved him very much, and said that whatever John Frith believed he believed, were burnt in Smithfield — to show what a capital Christian the King was. But these were speedily followed by two much greater victims, Sir Thomas More, and John Fisher, the Bishop of Rochester. The latter, who was a good and amiable old man, had committed no greater offence than believing in Elizabeth Barton, called the Maid of Kent — another of those ridiculous women who pretended to be inspired, and to make all sorts of heavenly revelations, though they indeed uttered nothing but evil nonsense. For this offence — as it was pretended, but really for denying the King to be the supreme Head of the Church — he got into trouble, and was put in prison. Even then he might have died naturally, but the Pope, to spite the King, resolved to make him a cardinal. So the King decided that Fisher should have no head on which to wear the red Cardinal’s hat. He was tried with all unfairness and injustice, and sentenced to death. He died like a noble and virtuous old man, and left a worthy name behind him. The King supposed that Sir Thomas More would be frightened by this example. But, as he was not to be easily terrified, and, thoroughly believing in the Pope, had made up his mind that the King was not the rightful Head of the Church, he positively refused to say that he was. For this crime he too was tried and sentenced, after having been in prison a whole year. When he was doomed to death, and came away from his trial with the edge of the executioner’s axe turned towards him — as was always done in those times when a state prisoner came to that hopeless pass — he bore it quite serenely, and gave his blessing to his son, who pressed through the crowd in Westminster Hall and kneeled down to receive it. But, when he got to the Tower Wharf on his way back to his prison, and his favourite daughter, Margaret Roper, a very good woman, rushed through the guards to kiss him and to weep upon his neck, he was overcome at last. He soon recovered, and never more showed any feeling but courage. When he had laid his head upon the block, he said jokingly to the executioner, “Let me put my beard out of the way; for that, at least, has never committed any treason.” Then his head was struck off at a blow. These two executions were worthy of King Henry VIII. Sir Thomas More was one of the most virtuous men in his dominions, and the Bishop was one of his oldest and truest friends. When the news of these two murders got to Rome, the Pope was enraged and prepared a Bull, ordering his subjects to take arms against the King of England and dethrone him. The King took all possible precautions to keep that document out of his dominions, and set to work in return to suppress a great number of the English monasteries and abbeys. This destruction was begun by a body of commissioners, of whom Thomas Cromwell was the head. It was carried on through some few years to its entire completion. There is no doubt that many of these religious establishments imposed upon the people in every possible way; that they had images moved by wires, which they pretended were miraculously moved by Heaven; that they had bits of coal which they said had fried Saint Lawrence, and bits of toe-nails which they said belonged to other famous saints, etc. ; and that all these bits of rubbish were called Relics, and adored by the ignorant people. But, on the other hand, there is no doubt either, that the King’s men punished the good monks with the bad; did great injustice; demolished many beautiful things and many valuable libraries; destroyed numbers of paintings, stained glass windows, fine pavements, and carvings; and that the whole court were ravenously greedy and rapacious for the division of this great spoil among them. The King seems to have grown almost mad in the ardour of this pursuit, for he declared Thomas a Becket a traitor, though he had been dead so many years, and had his body dug up out of his grave. The gold and jewels on his shrine filled two great chests, and eight men were needed to carry them away. These things caused great discontent among the people. The monks who were driven out of their homes and wandered about encouraged their discontent, and there were, consequently, great risings in Lincolnshire and Yorkshire. These were put down by terrific executions, from which the monks themselves did not escape. The unfortunate Queen Catherine was by this time dead, and the King was by this time as tired of his second Queen as he had been of his first. As he had fallen in love with Anne when she was in the service of Catherine, so he now fell in love with another lady in the service of Anne. The King resolved to have Anne Boleyn’s head to marry Lady Jane Seymour. So, he brought a number of charges against Anne, accusing her of dreadful crimes which she had never committed, and implicating in them her own brother and certain gentlemen in her service. As the lords and councillors were afraid of the King, they brought in Anne Boleyn guilty, and the other unfortunate persons accused with her, guilty too. They were all sentenced to death. Anne Boleyn tried to soften her husband by touching letters, but as he wanted her to be executed, she was soon beheaded. There is a story that the King sat in his palace listening very anxiously for the sound of the cannon which was to announce this new murder; and that, when he heard it, he rose up in great spirits and ordered out his dogs to go a-hunting. He married Jane Seyniour the very next day. One of the most active writers on the Church’s side against the King was a member of his own family — a sort of distant cousin, Reginald Pole by name — who attacked him in the most violent manner (though he received a pension from him all the time), and fought for the Church with his pen, day and night. He was beyond the King’s reach, in Italy. The Pope made Reginald Pole a cardinal; but, so much against his will, that it is thought he had hopes of marrying the Princess Mary. His being made a high priest, however, put an end to that. His mother, the Countess of Salisbury — who was, unfortunately for herself, within the tyrant’s reach — was the last of his relatives on whom his wrath fell. When she was told to lay her grey head upon the block, she answered the executioner, “No! My head never committed treason, and if you want it, you shall seize it.” So, she ran round and round the scaffold with the executioner striking at her, and her grey hair bedabbled with blood. And even when they held her down upon the block she moved her head about to the last, resolved to be no party to her own barbarous murder. All this the people bore, as they had borne everything else. Indeed they bore much more; for the slow fires of Smithfield were continually burning, and people were constantly being roasted to death — still to show what a good Christian the King was. He defied the Pope and his Bull, which was now issued, and had come into England; but he burned innumerable people whose only offence was that they differed from the Pope’s religious opinions. All this the people bore, and more than all this yet. The national spirit seems to have been banished from the kingdom at this time. The people who were executed for treason, the wives and friends of the “bluff’ King, spoke of him on the scaffold as a good and gentle man. The Parliament were as bad as the rest, and gave the King whatever he wanted. They gave him new powers of murdering, at his will and pleasure, anyone whom he might choose to call a traitor. But the worst measure they passed was an Act of Six Articles, commonly called at the time “the whip with six strings”, which punished offences against the Pope’s opinions, without mercy, and enforced the very worst parts of the monkish religion. Cranmer would have modified it, if he could; but he had not the power, being overborne by the Romish party. As one of the articles declared that priests should not marry, and as he was married himself, he sent his wife and children into Germany, and began to tremble at his danger. This whip of six strings was made under the King’s own eye. It should never he forgotten of him how cruelly he supported the worst of the Popish doctrines when there was nothing to be got by opposing them. This monarch now thought of taking another wife. He proposed to the French King to have some of the ladies of the French Court exhibited before him, that he might make his Royal choice. But the French King answered that he would rather not have his ladies to be shown like horses at a fair. He proposed to the Dowager Duchess of Milan, who replied that she might have thought of such a match if she had had two heads. At last Cromwell represented that there was a Protestant Princess in Germany — those who held the reformed religion were called Protestants, because their leaders had protested against the abuses and impositions of the unreformed Church — named Anne of Cleves, who was beautiful, and would answer the purpose admirably. The King sent over his famous painter, Hans Holbein, to take her portrait. Hans made her out to be so good-looking that the King was satisfied, and the marriage was arranged. But Hans had flattered the princess. When the King first saw her, he swore she was “a great Flanders mare”, and said he would never marry her. Being obliged to do it, he would not give her the presents he had prepared, and would never notice her. He never forgave Cromwell his part in the affair. His downfall dates from that time. It was quickened by his enemies, in the interests of the unreformed religion, putting in the King’s way, at a state dinner, a niece of the Duke of Norfolk, Catherine Howard. Falling in love with her on the spot, the King soon divorced Anne of Cleves on pretence that she had been previously betrothed to someone else, and married Catherine. It is probable that on his wedding day he sent his faithful Cromwell to the scaffold, and had his head struck off. It soon came out that Catherine Howard was not a faithful wife, and again the dreadful axe made the King a widower. Henry then applied himself to superintending the composition of a religious book called “A necessary doctrine for any Christian Man”. King in a very black mood actually instructed Gardiner, one of his Bishops who favoured the Popish opinions, to draw a bill of accusation against her, which would have inevitably brought her to the scaffold. But one of the Queen’s friends knew about it, and gave her timely notice. She fell ill with terror, but managed the King so well when he came to entrap her into further statements — by saying that she had only spoken on such points to divert his mind and to get some information from his extraordinary wisdom — that he gave her a kiss and called her his sweetheart. And, when the Chancellor came next day to take her to the Tower, the King honoured him with the epithets of a beast, a knave, and a fool. So near was Catherine Parr to the block, and so narrow was her escape! A few more horrors, and this reign was over. There was a lady, Anne Askew, in Lincolnshire, who inclined to the Protestant opinions, and whose husband being a fierce Catholic, turned her out of his house. She came to London, and was considered as offending against the six articles, and was taken to the Tower, and put upon the rack — probably because it was hoped that she might, in her agony, criminate some obnoxious persons. She was tortured in a most cruel manner without uttering a cry, but afterwards they had to carry her to the fire in a chair. She was burned with three others, a gentleman, a clergyman, and a tailor; and so the world went on. Either the King became afraid of the power of the Duke of Norfolk, and his son the Earl of Surrey, or they gave him some offence, but he resolved to pull them down, to follow all the rest who were gone. The son was tried first — of course for nothing — and defended himself bravely; but all the same he was found guilty, and was executed. Then his father’s turn came. But the King himself was left for death by a Greater King, and the earth was to be rid of him at last. When he was found to be dviiig, Cranmer was sent for, and came with all speed, but found him speechless. In that hour he perished. He was in the fifty-sixth year of his age, and the thirty-eighth of his reign. Henry the Eighth, a bloody tyrant, has been favoured by some Protestant writers, because the Reformation was achieved in his time. But the mighty merit of it lies with other men and not with him.